THE Government has reportedly stopped paying allowances to Advanced Level teachers whose classes do not meet the required minimum number of pupils and hours in class, it has been learnt. All along, A-level teachers were paid an extra Sixth Form allowance of $100 at the end of each term in addition to their ordinary salaries and allowances. But under the new guidelines, the allowances will be paid based on the number of pupils per class as well as the number of contact hours a teacher has with pupils. Only teachers with a minimum of 15 pupils for Science classes, 20 for Arts and Humanities classes and a minimum of 185 contact hours with pupils will qualify for the allowance. Progressive Teachers’ Union president Dr Takavafira Zhou confirmed that his office has received numerous complaints from members who have been affected by the new guidelines. “Our office has received complaints and we feel the changes are not palatable,” Dr Zhou said. He added that the changes were not fair, as teachers were applying the same effort teaching pupils regardless of the size of the classes. Some teachers said they only got to know about the new guidelines through their school heads upon submission of the requisition forms when schools closed last term. “We were told by our head that only those with a certain number of pupils and had 185 contact hours with A-level pupils were eligible for this allowance,” said a teacher who requested anonymity. The official teacher-student ratio at Advanced Level is one teacher per 25 pupils, but some teachers in public schools have ratios as high as 1:40. 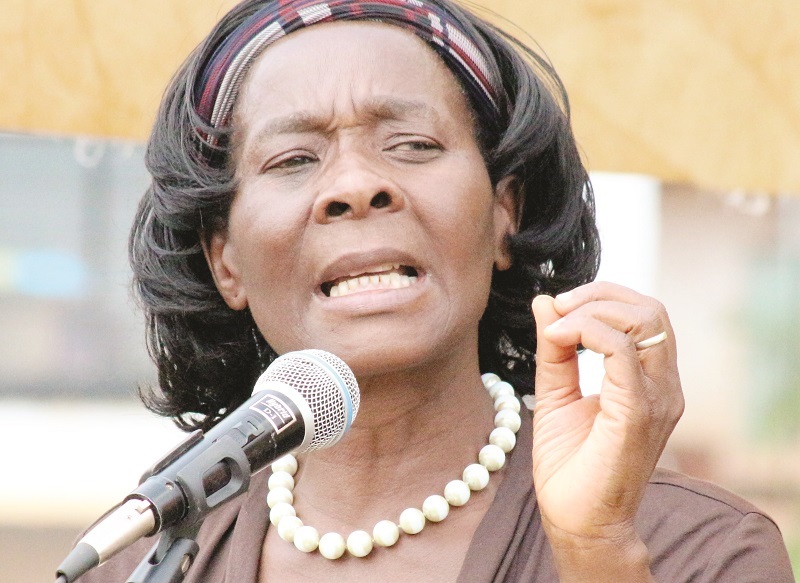 Permanent Secretary in the Ministry of Primary and Secondary Education Dr Sylvia Utete-Masango on Friday said although employment matters were now being handled by the Civil Service Commission, her office was not aware of the changes. “I have not heard about any such changes. I’m actually wondering that it is coming from the teachers. I don’t know about it,” she said. CSC chairperson Dr Mariyawanda Nzuwah could not be reached for comment at the time of going to print. However, a source in the CSC told Sunday News that the regulations had always been there but were not being enforced. “All along teachers would just submit forms sometimes with fabricated figures and get paid without any questions being asked. As a result every A-level teacher got the allowances. This term the authorities have simply moved to implement what has already been there and the noise is understandable because many teachers have been affected,” said the source who declined to be named. Meanwhile, heads from schools across the country will wear uniforms and conduct a procession in Harare’s Central Business District (CBD) as part of proceedings of the third edition of the Education Conference and Expo set for end of this month. Excerpts of minutes of a preparatory meeting for the conference held in Harare on Tuesday last week show that all school heads will be required to wear royal blue shirts and blouses during the procession. They will march from Ambassador House to the Harare International Conference Centre (HICC) where the conference will be held from 30 August to 1 September. The procession will be led by the Mutendi High School Brass Band and Girls High School. “Royal Blue (not sky, not navy). Ladies will wear blouses in the same colour as shirts for men. Provinces to make logistical aspects to ensure Heads have the regalia. On the 30th all must parade in royal blue (at the top),” the minutes read in part, under a section written regalia. The minutes also show that the Ministry of Primary and Secondary Education will be tough on school heads that will send representatives to this year’s edition of the conference. Only the head must attend. When you send someone, it implies you are indicating that you no longer want to be a head,” reads part of the minutes. Permanent Secretary in the Education Ministry Dr Sylvia Utete-Masango confirmed that school heads will wear a uniform during the procession ahead of the conference. Dr Utete-Masango was, however, quick to clarify that this was not a directive from her ministry but a decision reached by the school heads during the preparatory meeting. “This was their decision. They said they want to show that they are one family by wearing the same colour during the procession. Normally provinces have their own colour codes but this time the heads decided that they want to come in one colour, royal blue shirts for men and the same colour blouses for ladies,” she said.